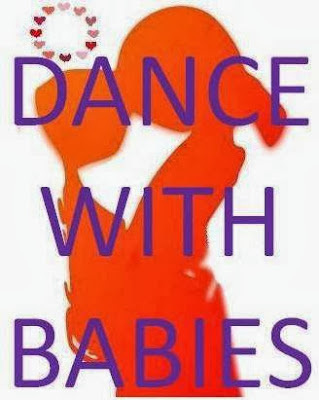 Dance with Babies is the fruit of dancing, childhood, parenthood, innocence, beauty, joy, sharing, and embracing others. 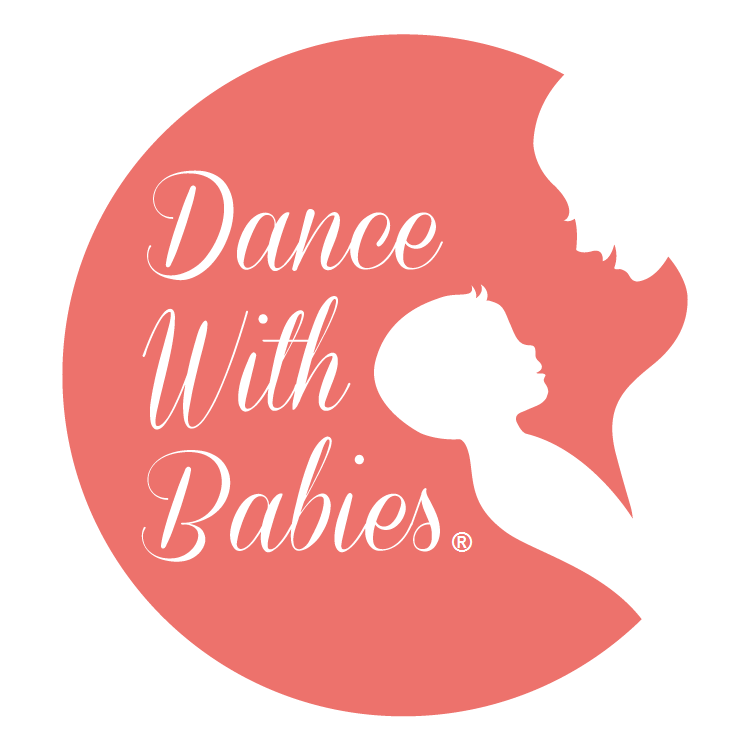 Dance with Babies is the product of 26 years of professional ballet, dance training, anatomy, pedagogy and post natal fitness experience and the love of babywearing, working with families, the passion to share dance, movement, music and love. 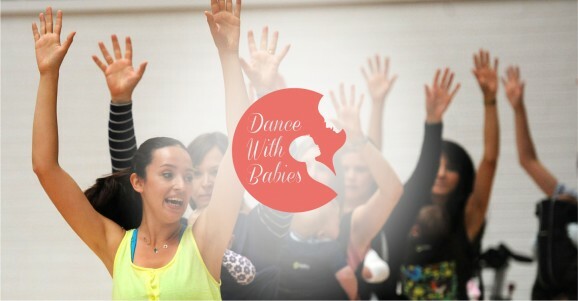 Dance with Babies is the reflection of motherhood, affection, fondness, bonding, protection, emotion and peace. April, 2012. My sweet Lydia is still in my tummy. I am seven months pregnant and I am busy preparing a choreography for my students for International Dance Day as I do every year. I am practising the prettiest dance there is, all the while feeling my baby inside me. The door opens, Ozgur is home, telling me that we might be moving to Scotland for his work. May 2012. 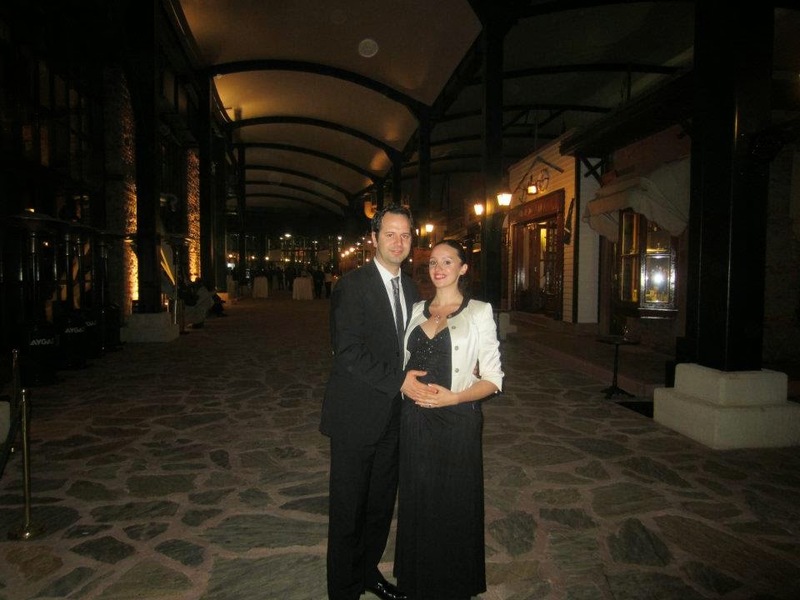 When I am 10 days due, with my husband, I am at the Andante Magazine’s Donizetti Classical Music Awards Ceremony as a member of the Ballet Jury. At home, all of our stuff is packed, our families are baffled with both the excitement of Lydia’s imminent arrival and the heartache of our leaving. June, 2012. Lydia is born. She is only 10 days old. Ozgur left for Scotland. We have moved out of our house, now staying at my mother’s place, in my childhood bedroom with my baby, spending 3 months away from her father as if we were in a dream. September 2012. We are in Glasgow. With my three-month-old baby, I am in a completely alien country where there is no one I know, I can’t understand anybody when they speak too fast, and can’t even keep up with the news if they are not subtitled. January 2013. We are dancing. We have cleared up some space in the middle of the living room, with our furniture moved against the wall. In the morning, we practice ballet with Lydia in my arms. In the evening, the three of us dance the tango after Ozgur comes home. And our Lydia falls sound asleep every time after we dance. I miss my dancing classes but I don’t want to leave Lydia alone at home. I look for classes to participate with her but nobody agree with the idea of a dance teacher mom dancing with her baby. March 2013. I have the sweetest new friends ever. We meet every week. 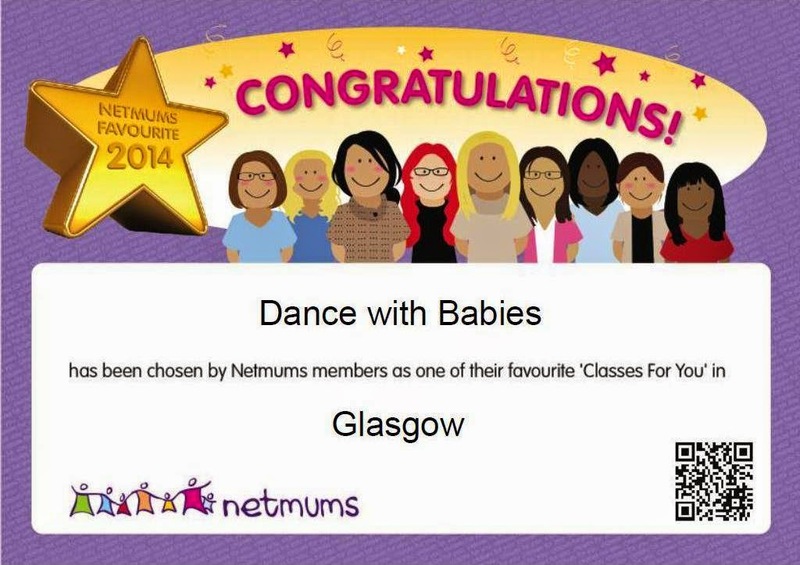 We have started dancing with our babies at home. I have loved Glasgow since my first day here. There is always someone to talk to, everybody is smiling, and they love living their lives together and making the most of it. I have started my M.A in Art Management and I am working on my thesis presentation for June. With Lydia in my arms, I am at the library every day. I only sleep 2-3 hours a day, trying to write however much I can as the days go by with the stress and rush of it. May 2013. I am at a week long training in Fethiye, Turkey looking for the answers. 7 days at a place with no Internet, telephone, even electricity, where we talk, eat and sleep only when necessary, climb rocks up to 25 metres high to dive into the sea, run for miles, walk on fire and reflect for hours! 7 days felt like 7 weeks. I miss my Lydia, my Ozgur, my mom. But the seminar is finally over and I found the answers! I left the place knowing that the thing that makes me sad the most is injustice. I was feeling fully confident that I would do everything in my power to change having to live conforming to social values, stop shaping our children’s lives according to our own beliefs, and overcome the difficulty of expressing ourselves without considering what others might think. 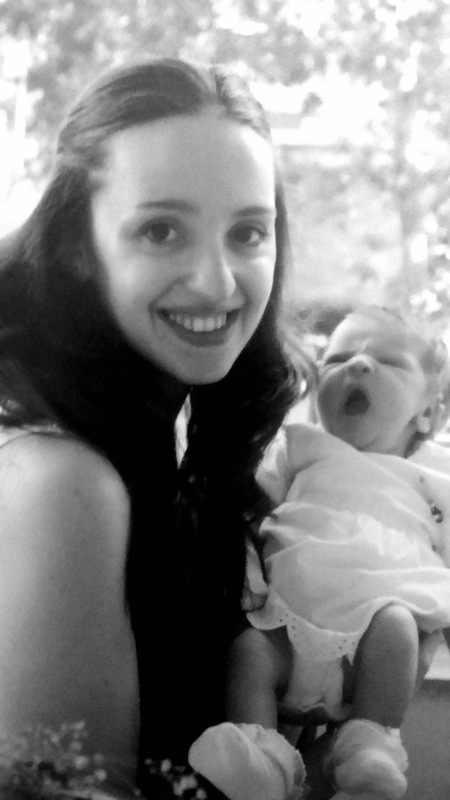 After asking myself what I could contribute to this world with my personal merits and how I could make a difference, I found myself preparing routines for mother and baby dances. That night, Dance with Babies was born. It was like a miracle! It was born not in Turkey where I myself was born and could easily find support from family and friends but in a country where it was impossible for spousal visa holders to apply for funding, where I had absolutely no experience about how and where to organize events and I could barely speak the language. In one week, I found a place for my training, I made a simple logo using Paint software, and after only 15 days of giving out leaflets to every mother I saw on the street, I was ready for my first session. Mothers would dance gently, happily and joyfully with their babies, experience moving together with friends and spend a wonderful time with their babies while doing ballet on their tiptoes, belly dancing, livening up with rock n’ roll tunes, laughing, rediscovering our inner power, feeling proud of our bodies and of everything we lived and experienced until that day, embracing our babies, sharing our gratitude and joy and inspiring other families, touching their lives, acting together for a common cause! 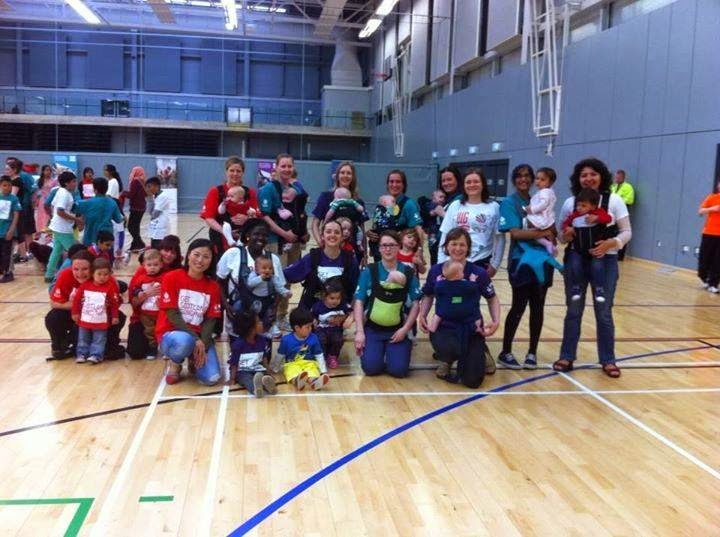 In the winter of 2013, only 6 months after its debut in Glasgow’s West End with the participation of 18 outstanding mothers and their babies, Dance With Babies brought 350 families together with dance! It became partners with Creative Scotland and Get Scotland Dancing Initiative, and began touching and transforming lives. It organized dances and trainings for CHAS, UNICEF, Glasgow Women’s Aid, Foundation of Community Dance and Foodbanks as part of global fundraising activities such as Big Dance Pledge and 1 Billion Rising. The magic of Dance With Babies, its sincerity, its power to bring people together without the need for competition and its vision of believing in the power of moving together began to reach families in various parts of the world and Dance with Babies transformed into an international community after one year. With its franchise program, it formed a chain of dancing families by training fully qualified, dedicated, passionate and loving instructors acting as ambassadors for this vision. An extension to Dance With Babies, the Dance With Toddlers program began meeting with families, as well. To encourage future generations, it is essential that we adults act as role models for our children, as parents who love dancing and singing. It is only after we acknowledge the fact that dancing and movement are the primary means of communication for children can we get out of our comfort zone every time our children want to accompany to some music they hear on the street with us. Dance With Babies and Toddlers instructors keep on sharing this wonderful feeling and reaching more and more families every day. The year is 2014. The third stage of Dance With Babies and Toddlers is born. For our mothers, to celebrate being a woman, to dance, to get together with friends, to move with joy, and to experience our bodies, health, life and joy to the fullest. 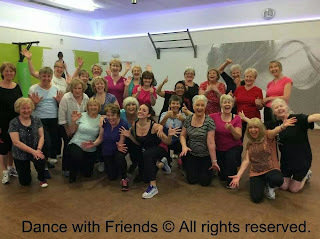 With over 100 participants every week, Dance With Friends became one of the most popular keep fit classes and began touching lives with fundraising events. In the last three years, we have made incredible progress dancing together with our babies, toddlers and friends thanks to the transformative power of dance. The light I found over the fire, on top of the mountain, in the waves has become a source of hope, excitement and happiness, and it still goes on to bring joy to our lives with the love and support of hundreds, even thousands of families every day. 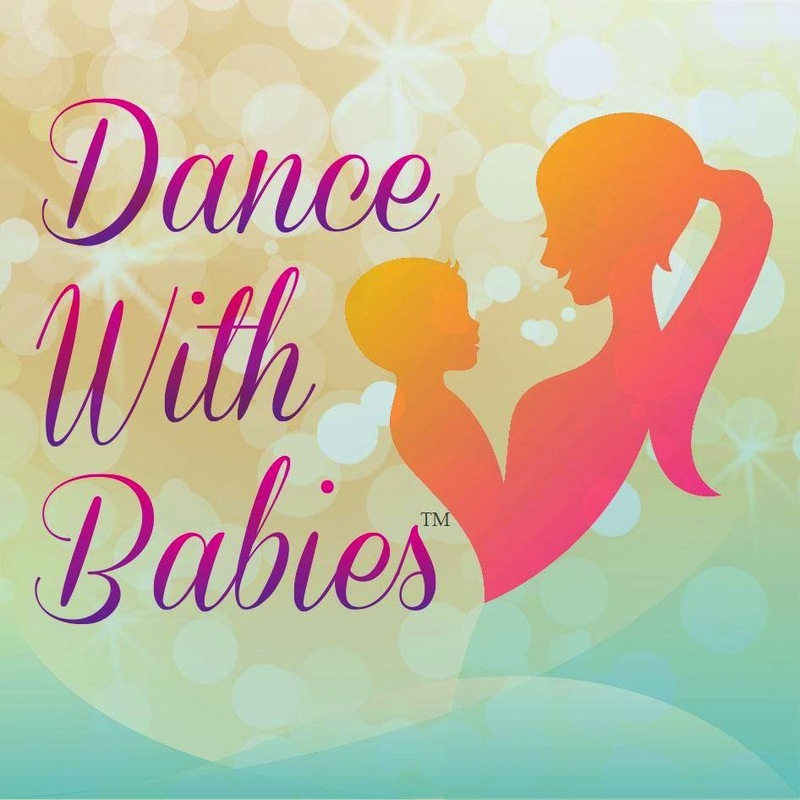 Finally, as a member of the International Dance Council and UNESCO, I am delighted to tell you that even greater things are yet to come for the Dance With Babies community these days. We never miss an opportunity to move in order to celebrate life, to change lives for the better, and we are growing with love, commitment, and passion. Come and join this adventure! Let’s go dancing for everything that is good, positive and worthy of love. Haziran 2012. Lydia dogdu, 10 gunluk oldu, Ozgur gitti. 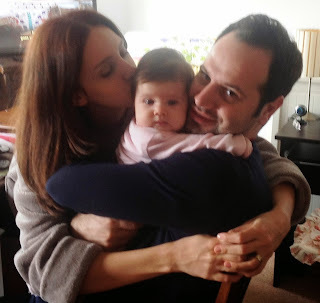 Evden ciktik Lydia ile, annemin evinde, cocukluk odamda bebegim ile, babasindan uzakta ruyada gibi gecen 3 ay! Eylul 2012. Glasgow’dayiz. Kimseyi tanimadigim, hizli konusuldugu zaman anlamadigim, altyazili olmadikca haberleri bile takip edemedigim bir sekilde, 3 aylik minigimle yepyeni bir ulkedeyim. Gunde onlarca ogrenciginin, arkadasin, esin dostun girip ciktigi dans studyosu evimizden, ailemden, minik balerinlerimden, uzerinde iki yil calistigimiz harika olusum El Sistema Turkiye’den, akademilerden, seminerlerden, ilmek ilmek dokudugum herseyden uzaktayim. Ocak 2013. Dans ediyoruz. Evimizin salonunda esyalar duvar kenarina dizili, ortada bize yetecek kadar bos bir alan yarattik. Sabahlari Lydia kucagimda bale yapiyoruz, aksamlari Ozgur geliyor ucumuz tango yapiyoruz. Ve Lydia’miz biz ne zaman dans etsek misil misil uyuyor. Her gece tekrar dans dersleri vermeye baslayacagim gunun hayali ile uyuyorum. Oyle bir ses var ki icimde bana surekli soruyor: “Bu hayatta benim icin en onemli sey nedir? Dunyaya bakinca nedir degistirmek istedigim? Nasil bir katkim olabilir daha iyi bir gelecege? Haziran 2013. Tum bu sorularin cevabini bulmak uzere Fethiye-Turkiye’de 1 haftalik bir egitimdeyim. Telefon, internet hatta kismi olarak elektrik dahi olmayan, gerekli oldugu kadar konusup, gerekli oldugu kadar yedigimiz ve yetecek kadar uyudugumuz, 25 metre kaya tirmanislari yapip, yuksek tepelerden denize atladigimiz, uzun uzun kosup, ates uzerinde yurudugumuz, bol bol dusunurek gecirdigimiz 7 gun! Lydia’mi, Ozgur’umu, annemi gormek icin sabirsizlandigim, 7 gunluk ozlemi 7 aymis gibi hissettigim seminer sona erdi. Sorularimin cevabini buldum! Bu hayatta beni en cok uzen seyin adeletsizlik oldugunu, toplumun uygun gordugu degerlere gore yasamanin, cocuklarimizin yasantilarini dahi kendi inanclarimiz dogrultusunda sekillendiriyor olmanin, baskalarinin ne dusundugunden bagimsiz kendimizi ifade etmekte ne kadar zorlandigimiz gercegini degistirmek icin elimden geleni yapacagimindan emin bir sekilde ayrildim oradan. Ben bu dunyaya sahip oldugum degerler ile ne katabilirim, nasil fayda saglayabilirim dedim ve kendimi anne bebek dansi koreografilerini hazirlarken buldum. Dance with Babies o gece dogdu. Mucize gibi oldu hersey! Turkiye’de, dogdugum, buyudugum, destek alabilcegim bir suru tanidigimin oldugu bir yerde degil fon icin basvurmamin imkansiz oldugu es vizesi ile, dilini dogru duzgun konusamadigim, neyin, nerede, ne sekilde yapildina dair hicbir tecrubem olmayan bir ulkede dogdu! 1 hafta icinde buldugum ders verecegim yer, paint programinda yaptigim logo ve gordugum her anneye verdigim brosurler ile sadece 15 gun sonra baslamaya hazirdim. Anneler bebekleri ile birlikte, keyifle, neseyle dans edecek, hayatlarinda hareketi ve arkadasligi bir arada deneyimlerek bebekleri ile harika vakit gecirecekler. Parmak ucunda bale yapmak, belly dansi ise eglenmek, rock n roll muzikleri ile canlanmak, kahkahalarla gulmek, gucumuzu yeniden kesfetmek, sahip oldugumuz bedenle, bugune dek tecrube ettiklerimizle gurur duymak, bebegimizi kucaklamak, sukran duygumuzu, mutlulugumuzu paylasmak ve diger ailelere ilham vermek, yasamlara dokunmak, birlikte bir amac icin hareket etmek! 2013 sonbaharinda Dance with Babies 18 olaganustu anne ve bebek ile Glasgow Westend’de acilisini yaptiktan sadece 6 ay sonra Glasgow’da 350 aileyi dansla bulusturdu! Creative Scotland Get Scotland Dancing Insiyatifinin partnerlerinden oldu ve dansin donusturucu gucu ile hayatlara dokunmaya basladi. 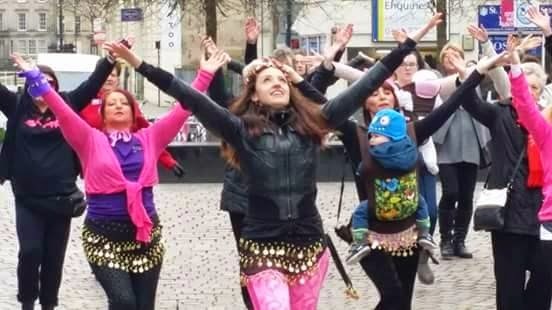 Big Dance Pledge, 1 Billion Rising gibi global fundraising etkinliklerin bir parcasi olarak, CHAS, UNICEF, Glasgow Women’s Aid, Fundation of Communtiy Dance, Foodbank icin danslar, egitimler duzenledi. Dance with Babies’in buyusu, samimiyeti, rekabetten uzak birlestirici gucu ve birarada hareketin gucune inanan vizyonu dunyanin bir cok yerindeki ailelere ulasmaya basladi ve Dance with Babies 1 sene icerisinde uluslararasi bir topluluga donustu. Franchise programi ile bu vizyona elcilik edecek, tutkulu, adanmis ve sevgi dolu egitmenler yetistirerek dans eden aileler zinciri kuruldu. Dance with Babies’in devami olarak Dance with Toddlers programi ailelerle bulusmaya basladi. Cocuklarimiz icin rol modeli olan biz yetiskinlerin dans eden, sarki soyleyen ebebeynler olmasi gelecek nesilleri cesaretlendirmekte o kadar onemli bir yer tutuyor ki! Cocuklarimiz sokakta duydugu bir muzige bizimle birlikte eslik etmek istedediginde rahatlikla konfor alanimizdan cikabilmemiz, dansin, hareketin cocuklar icin en basta gelen iletisim sekli oldugunu gormemiz ile basliyor. Dance with Toddlers egitmenleri bu harika duyguyu paylasmaya ve daha cok aileye ulastirmaya devam ediyorlar. ve yil 2014. Dance with Babies ve Toddlers’in ucuncu ayagi Dance with Friends dogdu. Bizim annelerimiz icin, kadin olmayi kutlamak icin, dans etmek, arkadaslarla olmak, keyifle hareket etmek, bedeni, sagligi, hayati, neseyi doyasiya yasamak icin. Haftada 100 un uzerinde katilimci sayisi ile Dance with Friends kisa surede en populer keep fit derslerinden oldu ve fundraising etkinleri ile de hayatlara dokunmaya basladi. 3 yil icerisinde bebeklerimizle, cocuklarimizla, arkadaslarimizla dans ederek, dansin donusturu gucu ile birlikte hareket ederek ilerledik. Ates uzerinde, daglarin tepesinde, dalgalarin icerinde buldugum isik, baska yasamlara umut oldu, heyecan oldu, mutluluk oldu ve hergun yuzlerce, binlerce ailenin destegi sevgisi ile hayatlara nese katmaya devam ediyor. International Dance Council, Unesco’nun bir uyesi olarak, Dance with Babies toplugunu harika olusumlarin bekledigi bir donemde oldugumuzun mujdesini vermek istiyorum. Hayati kutlamak icin, yasamlari iyi yonde degistirmek icin her firsati harekete donusturuyoruz ve sevgiyle, baglilikla, tutukuyla buyuyoruz.